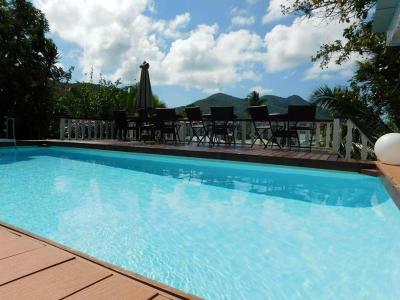 Lock in a great price for Sea View Lodge – rated 8 by recent guests! 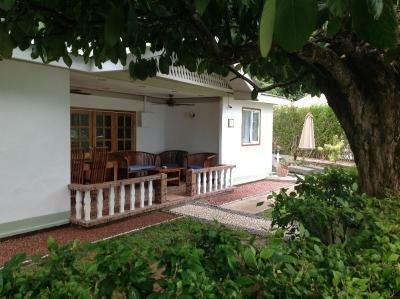 Property is right on the beach, especially the lower bungalows, situated approximately 20 mins drive from Ferry Jetty, where many taxi's are easily available. Interesting use of off road space with romantic shelters for gorgeous sunset dinners. 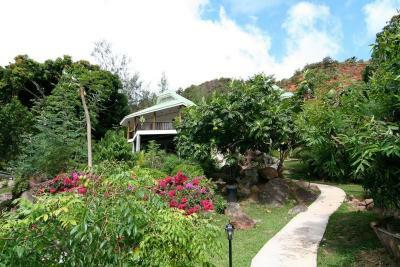 Gardens are well kept and locally grown fruit is available free to guests eg banana and coconut. 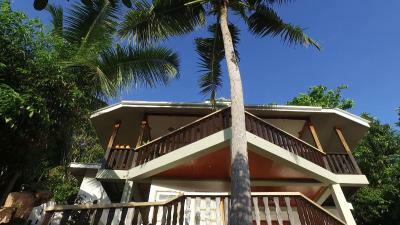 Services available on property such as car rental and boat rentals. 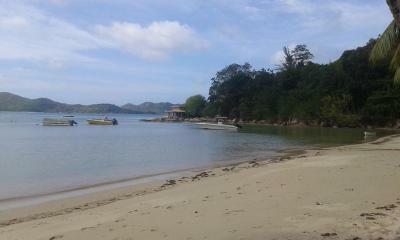 Bus stop for trip around island, right outside the property. Frequent visits by friendly birds, fruit eating bats and salamanders. Convenient outdoor showers. Swimming pool available for guests. Experienced THE most amazing sunset. Lovely host. Very supportive staff. 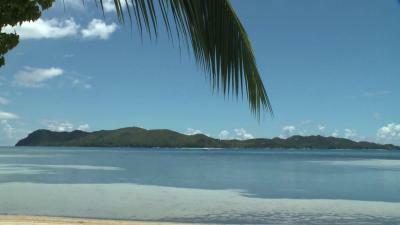 They even organized rent a cars for us on the main island - Mahe. 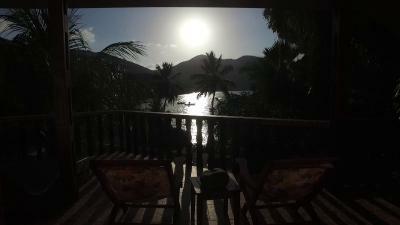 We had amazing view from the "Mango" villa. Lots. The personalised welcoming by a user-friendly Filipino staff, the gracious upgrade of our room to a chalet with better views, the views and locations, the organisation of the trip to Curieuse. We feel that the automated rating is too low for the experience and it should have ranked above a 9. 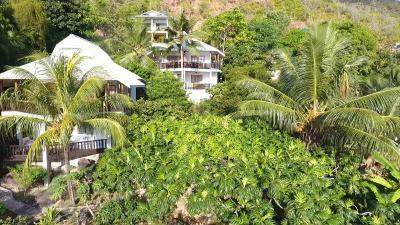 We stayed in 5 different guest houses across 3 islands and this was far and away the most customer-centric and best experience. The whole stay was good, the house was comfortable and had everything what one would need. If possible as a nice touch, I would only have a little bit of salt (and pepper) for guests in the kitchen as these are usually sold in big packs so for few days stay. My lower rate for cleaniness is because we had some empty toilet paper rolls on the bathroom floor when we arrived and they stayed there all 5 days we were at the property, otherwise the house and terrace was very clean. And quiet despite the road nearby. 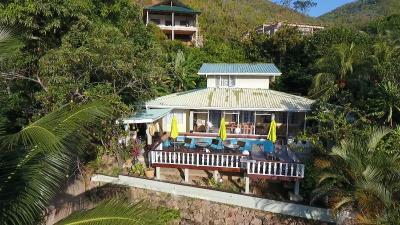 Excellent location at Anse Possession, which is between excellent Anse Volbert and Anse Lazio beaches. On bus route. Very pleasant staff. 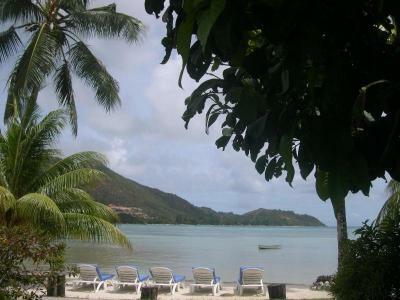 We stayed in Banana Villa which was very homely, comfortable and spotlessly clean with everything we needed and a great view across to Curieuse Island. Don’t worry about what other reviewers have said about it being near the road. It’s hardly the M25 and nice to watch the world going by at a leisurely pace. Nice beach area for guests to sit out on. Useful shop for groceries up a Hill next to property. 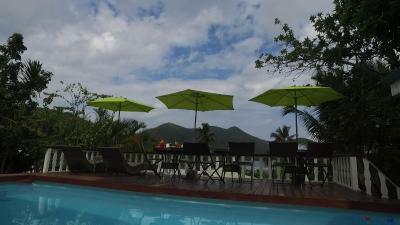 The terrace had was really nice also the beach showers are available for each villa. The whole place was well decorated. 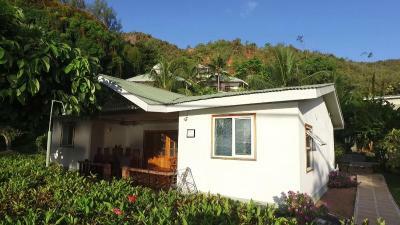 Located along the Anse Possession Beach, Sea View Lodge features apartments and holiday homes with Indian Ocean views and a private terrace. 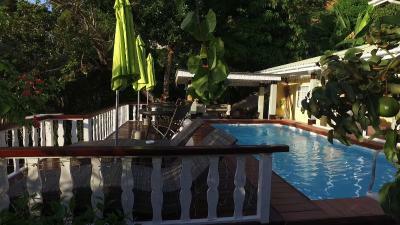 It also offers a tropical garden, a restaurant and free WiFi is available in all units. Each apartment and holiday home includes a lounge area with satellite TV and a kitchenette with microwave, toaster and refrigerator. The private bathroom comes with a shower. The units are equipped with telephones and all local calls are free. 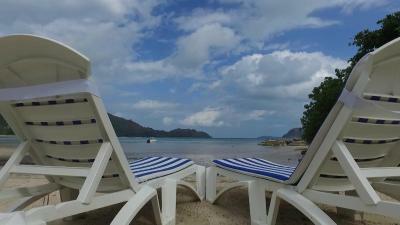 Sea View Lodge has it own private beach where guests can relax on sun loungers. 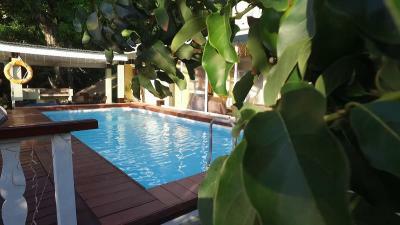 There is also an outdoor swimming pool that is open during the day. Day trips, excursions and massages can be arranged upon request. The on-site restaurant serves Creole cuisine. 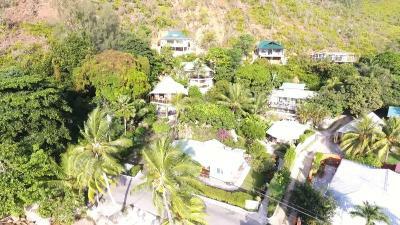 There is a grocery shop and boutique 800 feet from the villa. The nearest bus stop is located just 350 feet from Sea View Lodge, and the Inter Island Jetty is a 10-minute drive away. 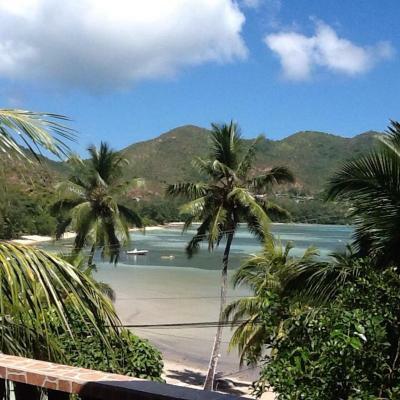 Praslin Island Airport is 20 minutes’ drive away. There is a car rental agency on site. 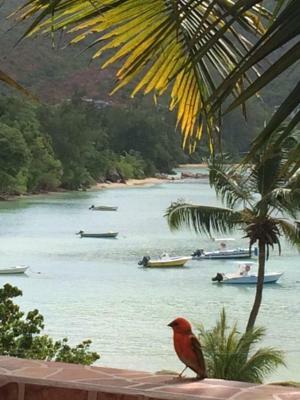 Taxi transfers and taxi boats and big game fishing can also be arranged. 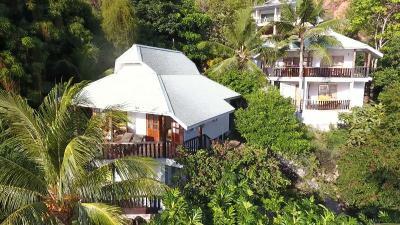 When would you like to stay at Sea View Lodge? 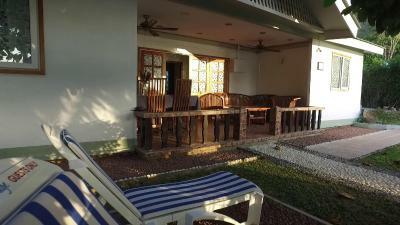 Featuring Indian Ocean views from the terrace, the air-conditioned house includes a lounge area with satellite TV. 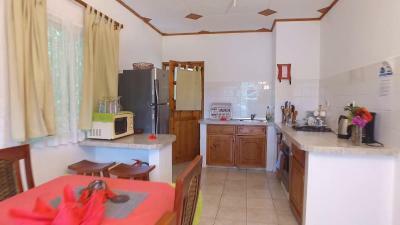 A dining area and a kitchenette with microwave, toaster and refrigerator are available. The private bathroom is equipped with a shower. It is equipped with a telephone with unlimited free local calls. 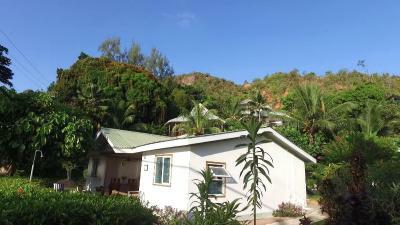 Featuring Indian Ocean views and a terrace, this air-conditioned house comes with BBQ facilities. 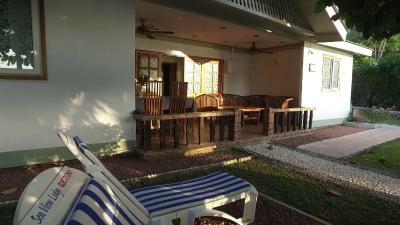 It includes a lounge area with satellite TV, a dining area and a kitchenette with microwave, toaster and refrigerator. The private bathroom is equipped with a shower. It is equipped with a telephone with unlimited free local calls. 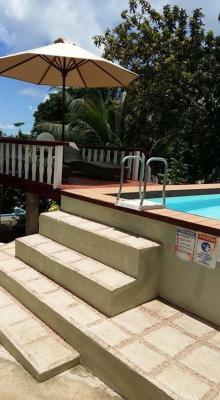 This air-conditioned house has a fully equipped kitchenette including washing machine. 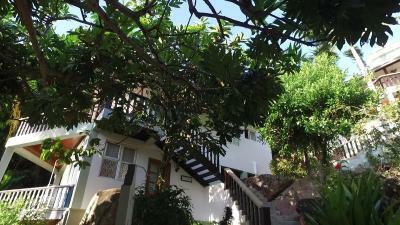 It offers a satellite TV, a garden and a terrace with sea view. It is equipped with a telephone with unlimited free local calls. 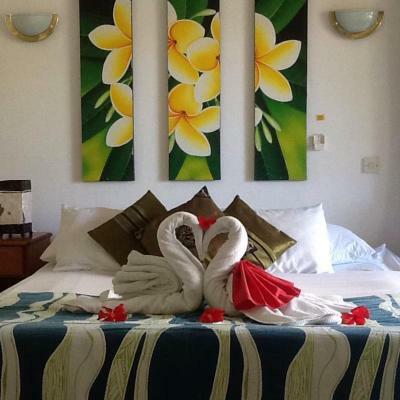 House Rules Sea View Lodge takes special requests – add in the next step! 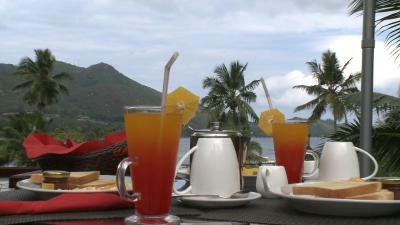 Cash Sea View Lodge accepts these cards and reserves the right to temporarily hold an amount prior to arrival. 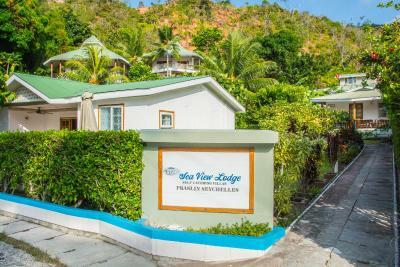 Sea View Lodge accepts these cards and reserves the right to temporarily hold an amount prior to arrival. 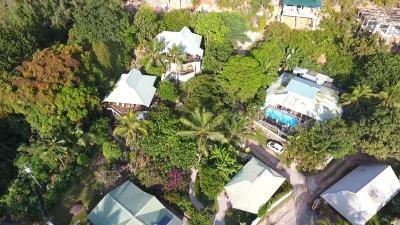 When you arrive in Praslin, please call the Sea View Lodge for directions to the property. Please note that the swimming pool is open from 10:00 until 19:00. Please inform Sea View Lodge of your expected arrival time in advance. You can use the Special Requests box when booking, or contact the property directly using the contact details in your confirmation. Management seemed "uninterested" in our arrival and made us wait whilst they were having lunch. Cost of optional meals are expensive. 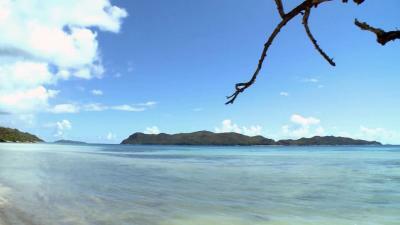 Not the best place for snorkeling as the bay is very shallow and water very hot. Ensure that staff understand any requests you may have as English is not their first language and this causes misunderstandings. Could not find ice cubes or sugar. Transfers from property to Ferry Jetty is twice as expensive as off property transfers i.e. SchR800 vs SchR450. 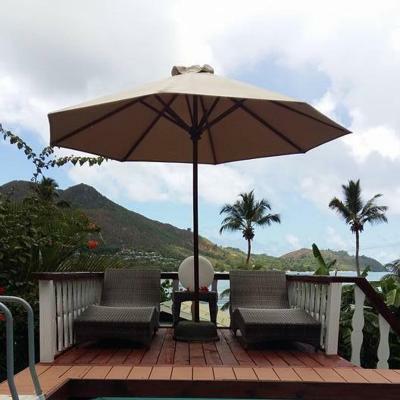 Our only disappointment which is not specific to this property is that prices in the Seychelles are very expensive when compared to similar properties in other comparable locations around the world. The beach by the hotel cannot be used for swimming but there are nice beaches just 3-5min by car (20min walk) and further. Be aware of the stingrays. Another thing which was not so nice is that on the day of departure we ask the reception to call a regular taxi for us, but instead they called their own taxi service which was more expensive and we realised this only when the car took off. This was not a nice gesture. The grocery store was always closed! Giant tortoises confined in pen. Looked like they needed more space. The place needs renovation although it was clean. The villa definitely needs more lighting. The place is near dense vegetation and you can have some lizards coming in the apartment although this did not bothered us that much. The beach near the villa is sea weed infested and not good for swimming although it was a calm beach anyway. 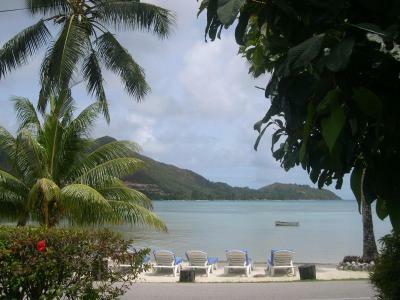 The beach in the front of the hotel is not good for swimming, because of stingrays in the shallow water. No restaurants near by, car recommended. Rental available at hotel. Staff was great and helpful. The washing machine. *Very friendly helper (intern?). He is the sole reason why we are still giving the Sea View a score above 5. *Good breakfast value for money, brought directly to your room. Our Apartment was on a mountain cliff and we needed to climb a long way on some very dangerous stairs. The equipment and facilities on the apartment were maintained at a very low level and most of them were irrelevant. The toilets were leaking and broken. the shower barely worked and the water stream was too weak. Staying inside the apartment was unbearable because of the bugs and the Lizards which made us uncomfortable and forced us to use the apartment for sleeping only. In addition, the Lodge owners weren't polite, unpleasant and Not serviceable. Their attitude made us want to leave immediately. 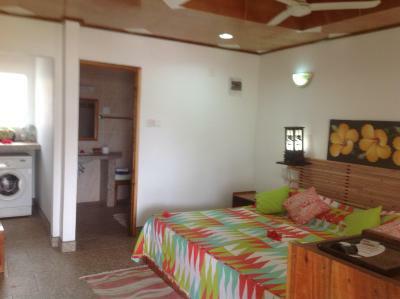 On the last day the owners accepted our request for a late check- out and allocated a room for rest and shower. 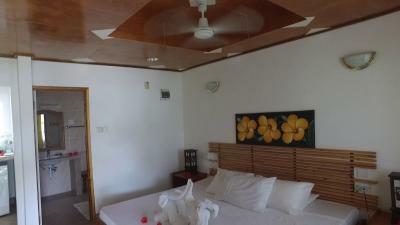 Then we realized that the room we received on the first day was very old and not maintained compared to the other rooms. 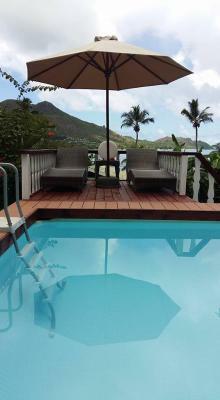 To conclude , it was a very unpleasant stay for us, which spoiled our enjoyment on the trip to the island of Praslin. We travel worldwide and we have never encountered such a heedless treatment towards the guests by the owners, especially the Lady owner. The only good thing was the balcony view. Also one staff guy called Kyle was very kind and helpful.